The Nendoroid rendetion of twin-tail neko-maid cosplayer Feyris Nyan Nyan from Steins;Gate will soon join Makise Kurisu and Mayuri Shiina. 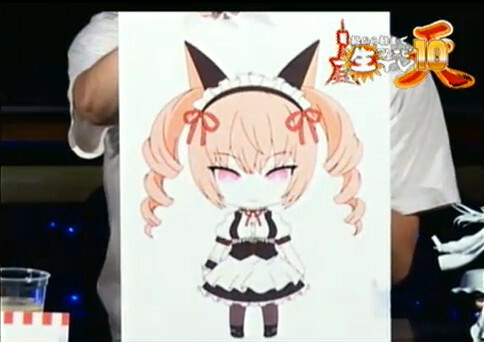 Yep, her design has just been revealed a moment ago, in the live broadcast of post-WonFes talk show. No clue about release date and pricing have been revealed yet. This entry was posted in News and tagged feyris, nendoroid, nyan, steins gate. Feyris is cute, although I’d rather see Okarin! I’m sure I’m not alone here! Nope you are not…. Sure I want Feyris, but we still need Okarin!